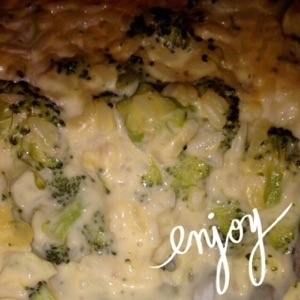 Despite forcing this casserole down the throat of my four year old, I still feel like this recipe has promise:) I’ve come to the conclusion you either like this casserole dish or you don’t but it’s always been a staple at our family gatherings. 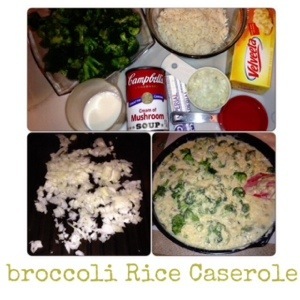 It’s super budget friendly and makes for a great side dish or add chicken for a main dish. If you want to kick it up add Mexican style cheese and Monterrey jack and maybe some cooked bacon because well… bacon makes everything better!! 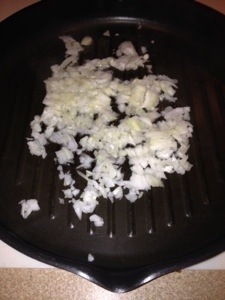 Chop onion fine, and cook in butter until the onions are transparent. 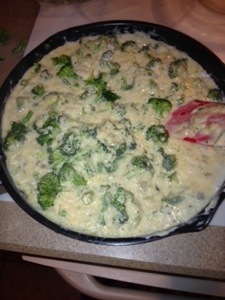 Instead of frozen broccoli I used fresh and steamed it. 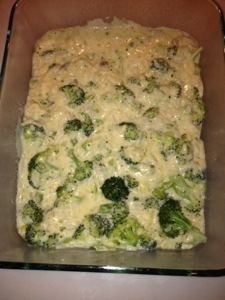 mix everything together and pour into baking dish and bake for 45 minutes at 350 degrees. You can also sprinkle cheese on top if you want.